The protestant Frauenkirche, the Catholic cathedral, the Zwinger, the Semper Opera House, the Residential Palace, the Elbe river, over 50 museums and more than 30 theatres – this is Dresden. The city is one of the most popular tourist destinations in Germany. Dresden boasts a unique collection of historic buildings, great history and art treasures and fascinates with its own distinctive character. The city owes its description as ‘Florence on the Elbe’ to the combination of the riches to be found in its art collections and the Italian influence on its architecture built under Augustus the Strong (1670-1733). 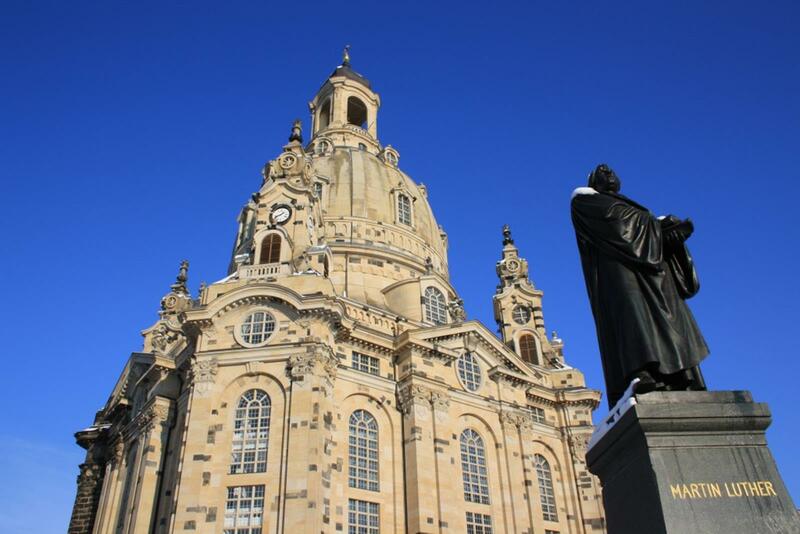 Dresden is the capital of the Free State of Saxony, the most south-easterly of the 16 federal states in Germany. 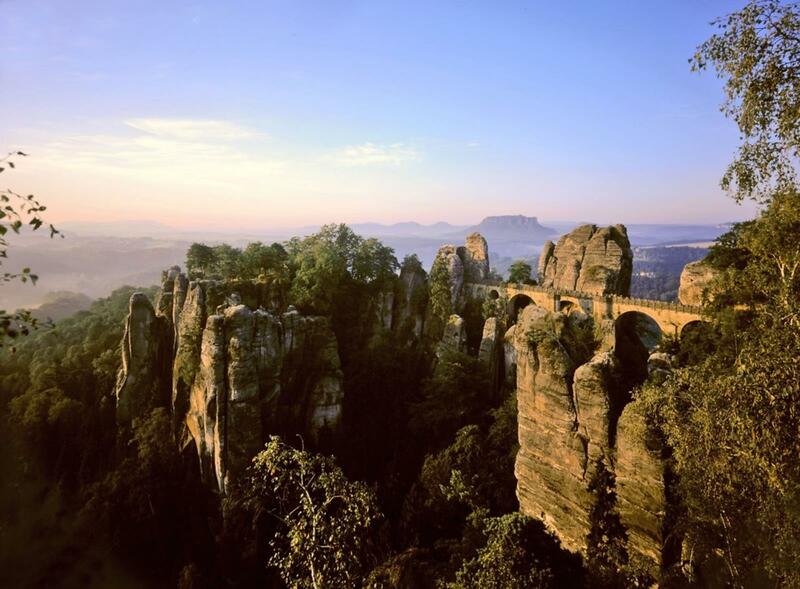 Only two hours drive to the north lies the capital Berlin and to the south Prague, the capital of the Czech Republic. The city with its more than 540,000 inhabitants not only has a strong cultural attraction, it is also the political, economic, scientific and religious centre of the Free State of Saxony. 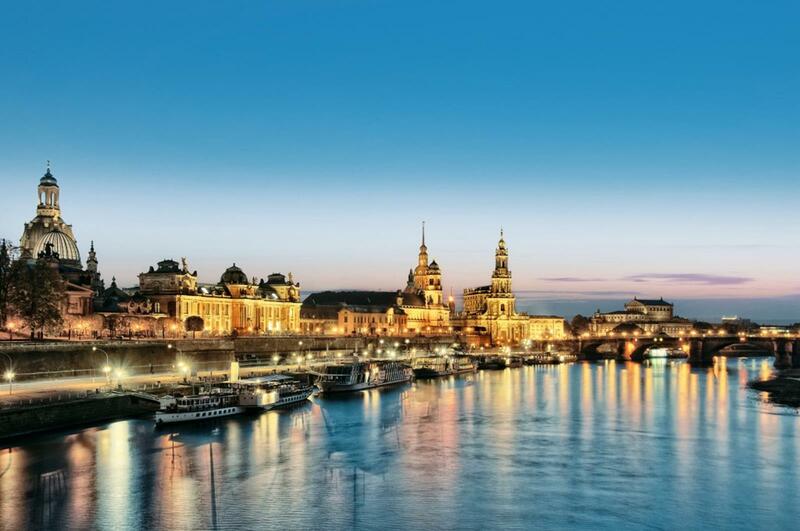 The famous skyline of Dresden’s Altstadt attracts millions of visitors every year. Even Martin Luther visited the state capital Dresden, preaching to the Saxon royal court in the chapel of the Royal Palace on several occasions. Saxony was the first German state to introduce the Reformation. The first wholly protestant church service in Dresden was held on 6th July 1539 in the Kreuzkirche (Church of the Holy Cross) with music sung by the Dresdner Kreuzchor. This boys choir celebrates its 800th anniversary in 2016. When the Saxon ruler August the Strong converted to Catholicism in 1697 to become King of Poland, the Lutheran citizens of Dresden built the Frauenkirche as a symbol of the Reformation, hewn in stone. The cupola was modeled on St. Peter’s Basilica in Rome. The use of a dome to symbolize the heavenly firmament was an architectural expression of the universality of the Evangelical Church. The first organ concert in the Frauenkirche was given on December 1, 1736 by Johann Sebastian Bach (1685-1750), who is considered to be the most important composer of Protestant church music. The Frauenkirche was reduced to rubble in the final months of the Second World War, and it was almost half a century before reconstruction began (1994-2005). Services in the Anglican tradition are celebrated monthly in English. The juxtaposition of the denominations in Dresden did not result in conflict but rather spurred both sides on to excel in the fields of architecture and sacred music. The Catholic cathedral, which enjoyed royal patronage until 1754, was built within sight of the Frauenkirche. The colourful side of Dresden is to be seen in the artistic quarter of Äußere Neustadt with its characteristic buildings, many of them dating back to the end of the 19th century. The untold number of bars, cafés, restaurants, clubs, galleries and small theatres make this lively area of Dresden the undeniable centre of the young, alternative Dresden scene. The Gründerzeit quarter embodies a highly creative spirit of innovation, reflected above all in the abundance of great shops and trendy labels. The church which’s tower overlooks this neighborhood is called “Martin-Luther-Kirche”. As “All-in-One-Destination”, Dresden attracts not only religious travellers, but also tourists who want to discover the culinary varieties of Germany. Dresden is the northernmost wine growing city in the world hosts several breweries, a lot of restaurants, some of them star-awarded and bakeries. 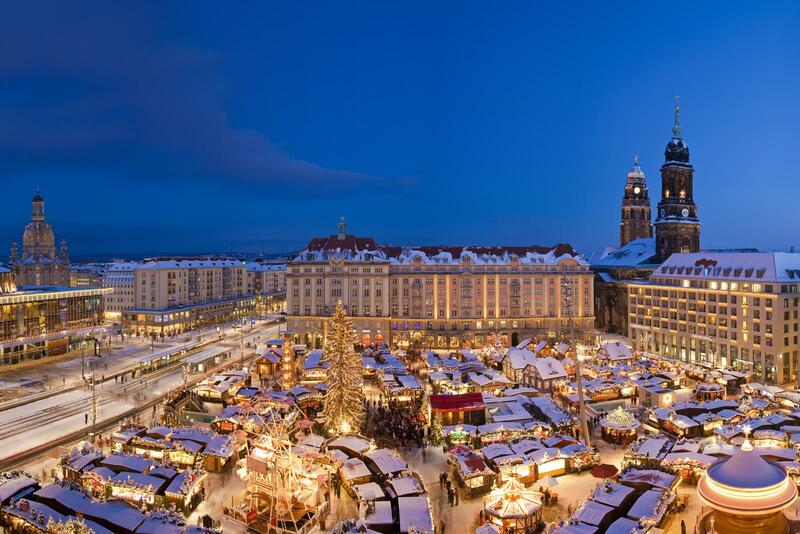 Founded in 1434, this is the oldest and also one of the biggest Christmas markets in Germany. Active tourists take the occasion to ski in winter in the close Ore Mountains, to cycle along the longest and most popular bike trail in Germany “Elberadweg” or to hike or climb in the closeby National Park of “Saxon Switzerland”. Martin Luther’s drinking goblet and his ring with personal seal are on display in the Historic Green Vault Treasury at the Royal Palace. Martin Luther’s own handwritten copy of his first lecture as professor of theology and an extract from Bach’s B Minor Mass are on display in the vault of the Book Museum at Saxon State and University Library Dresden (SLUB). The Dresdner Kreuzchor celebrates its 800th anniversary in 2016, a year in which it will also be hosting the International Bach Festival. The choir regularly sings at the Sunday morning service (9:30 a.m.) and at Saturday vespers (5 p.m.). It also performs at numerous concerts in Dresden and frequently goes on a tour. The best-known painter of the Reformation was Lucas Cranach the Elder (1472-1555). Some of his masterpieces are on permanent display in the Old Masters Gallery as well as works by his son, Lucas Cranach the Younger (1515-1586).